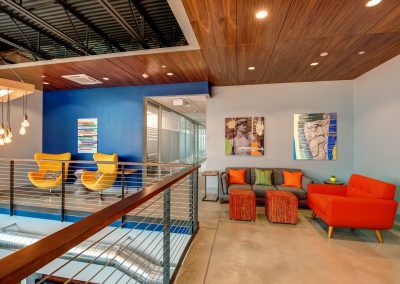 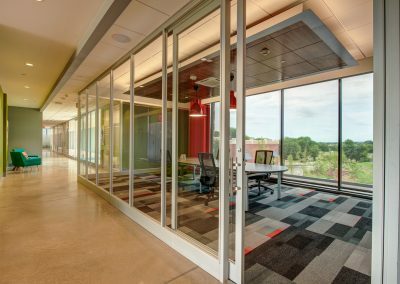 This project for a collaborative workspace which provides Class-A office and meeting rooms was designed to be open and airy to take advantage of great interior and exterior views. 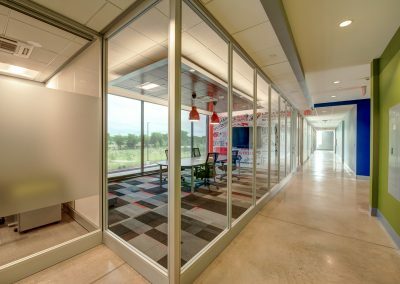 Great finish choices, details and pops of color keep the eye moving, while strategically applied glazing film provides privacy where needed. 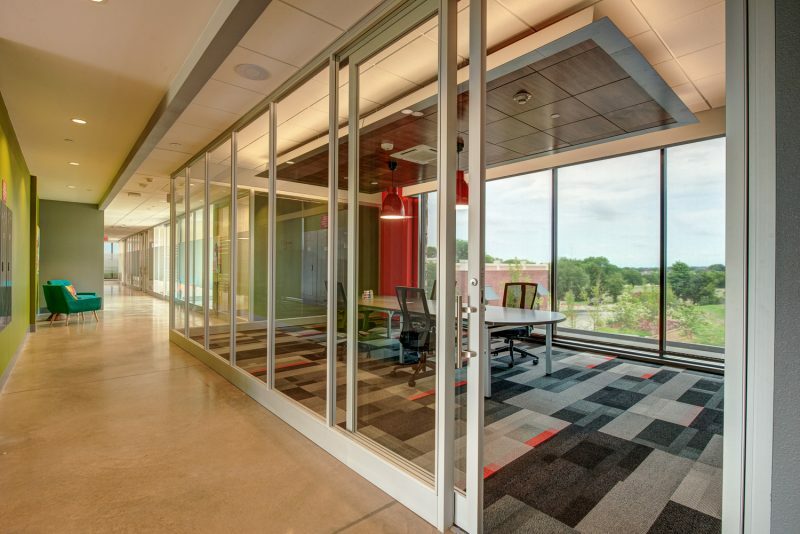 The space is designed to be easily reconfigurable to meet changing spatial requirements. 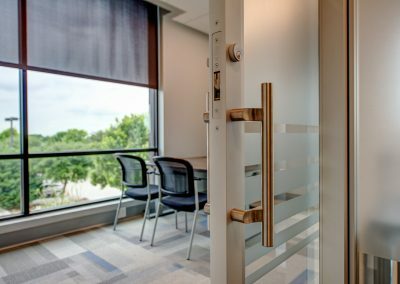 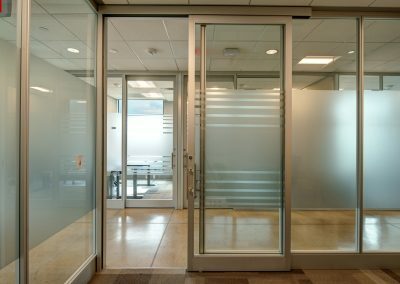 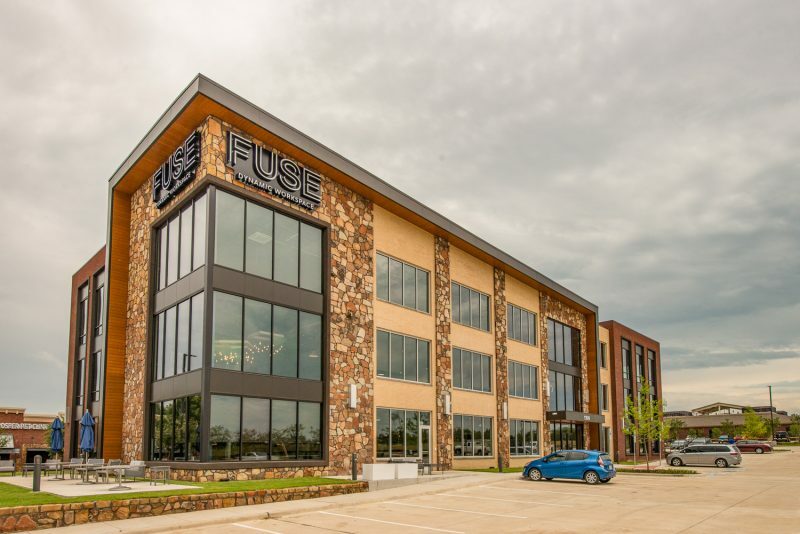 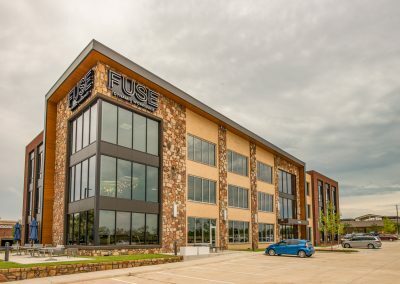 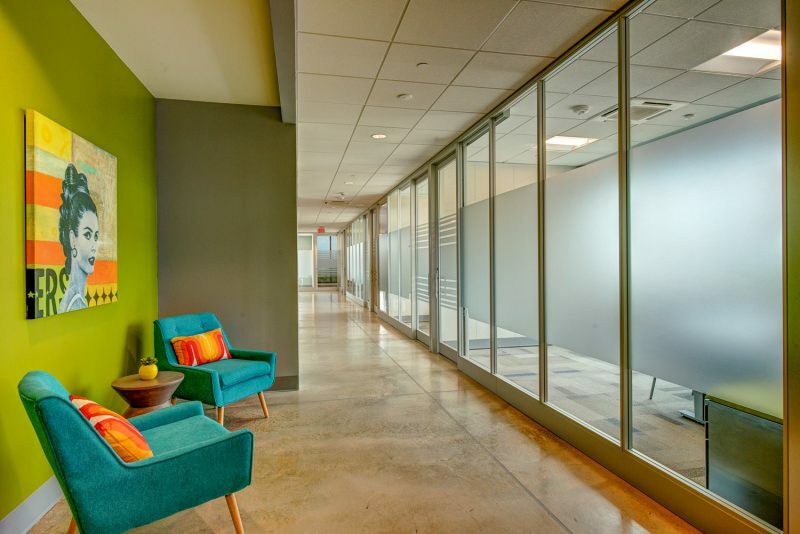 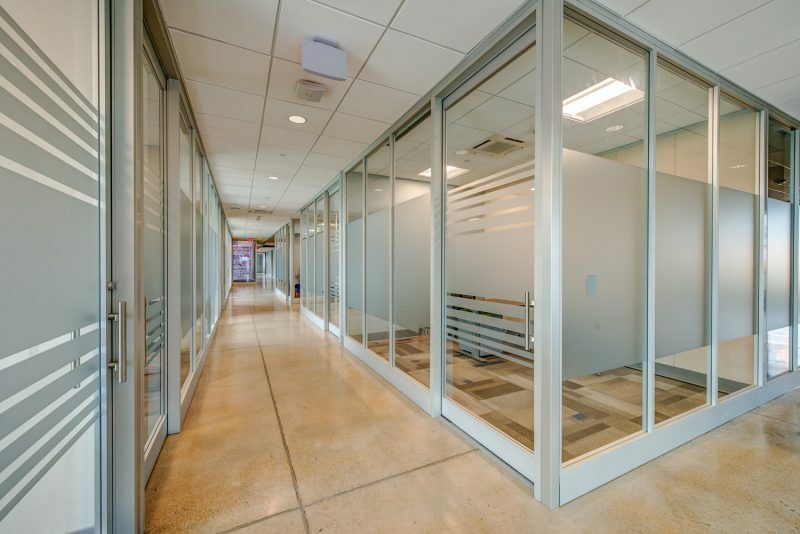 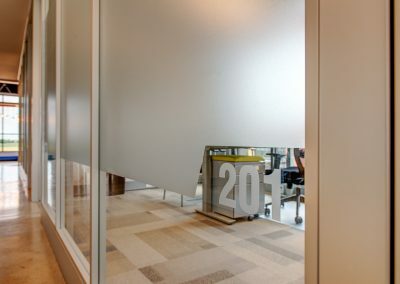 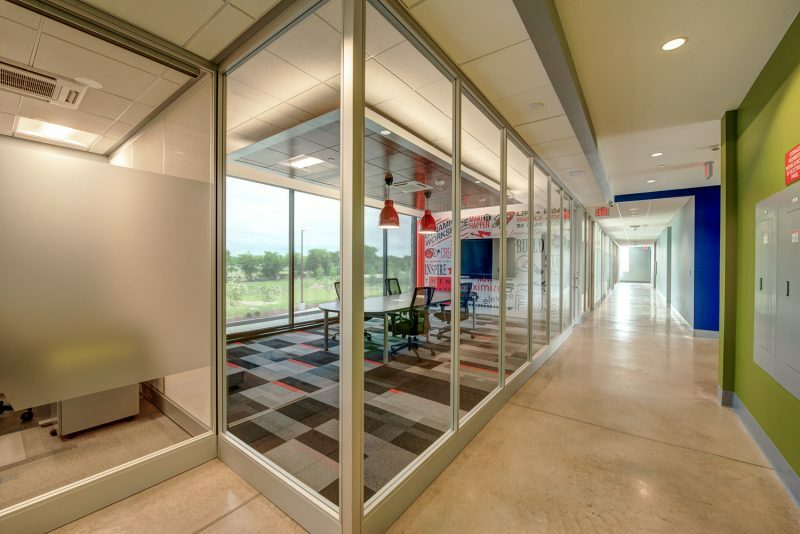 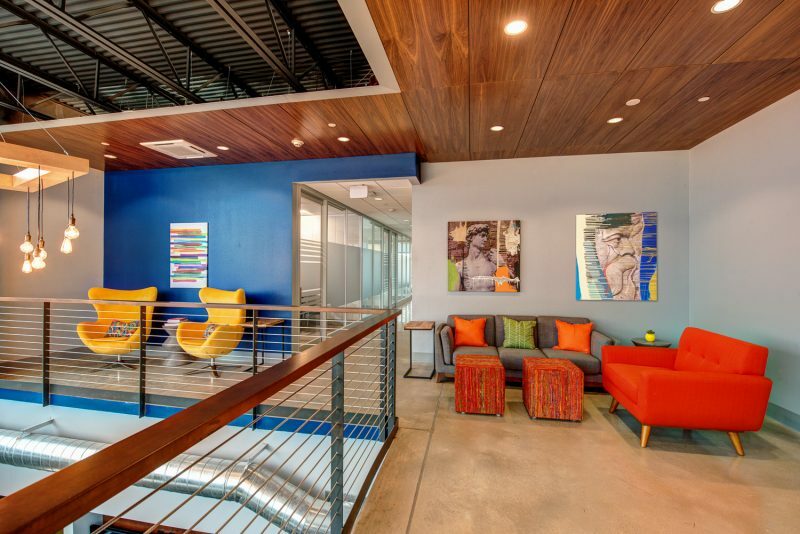 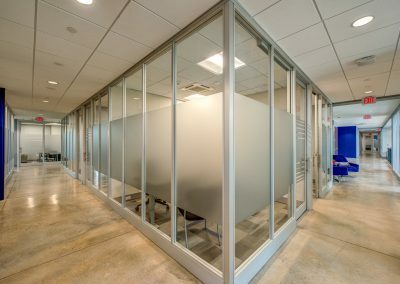 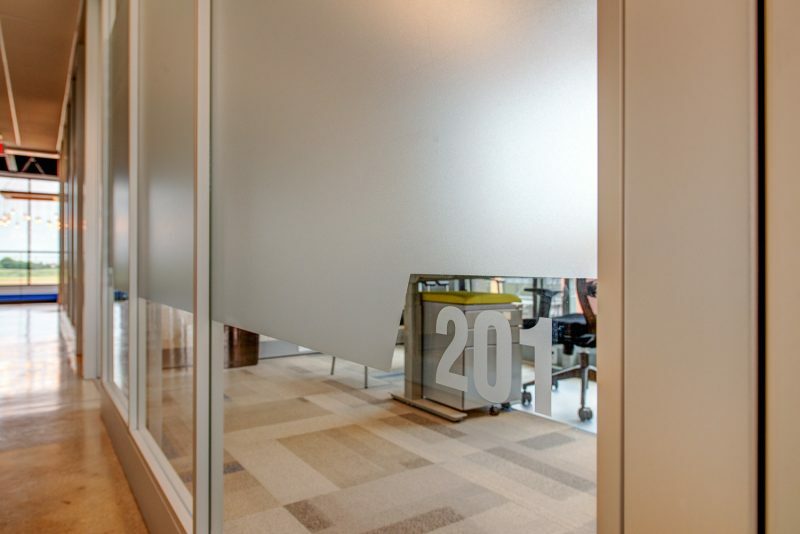 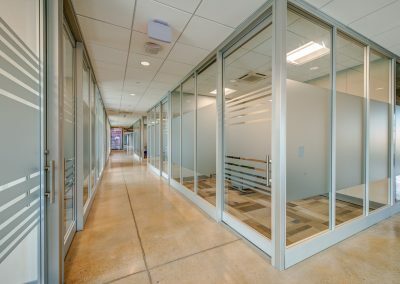 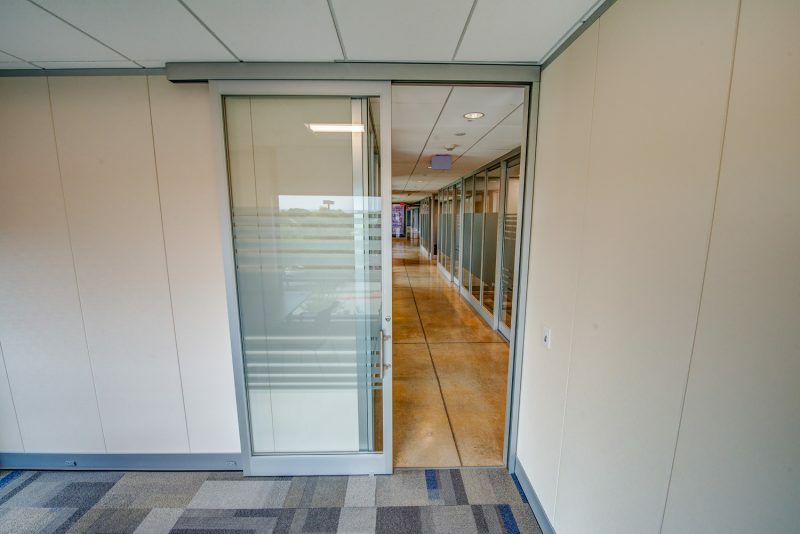 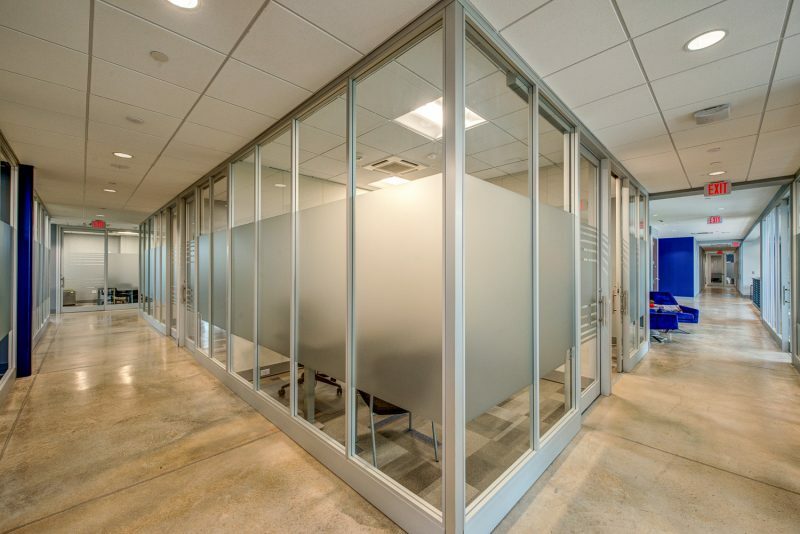 Modular glass panels and sliding doors define the office front walls, while full height prefinished gypsum panels provide privacy between spaces.